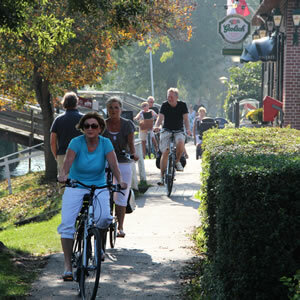 Do you visit Giethoorn by boat, cycling or walking? You will have a great time there, an ambiance that knows no equal anywhere in the world! In the village Giethoorn there are various shops, museums and galleries. In the surroundings you can enjoy a protected nature that is unique, boating, hiking, swimming, cycling, per solex or by bus - enjoyment starts here!